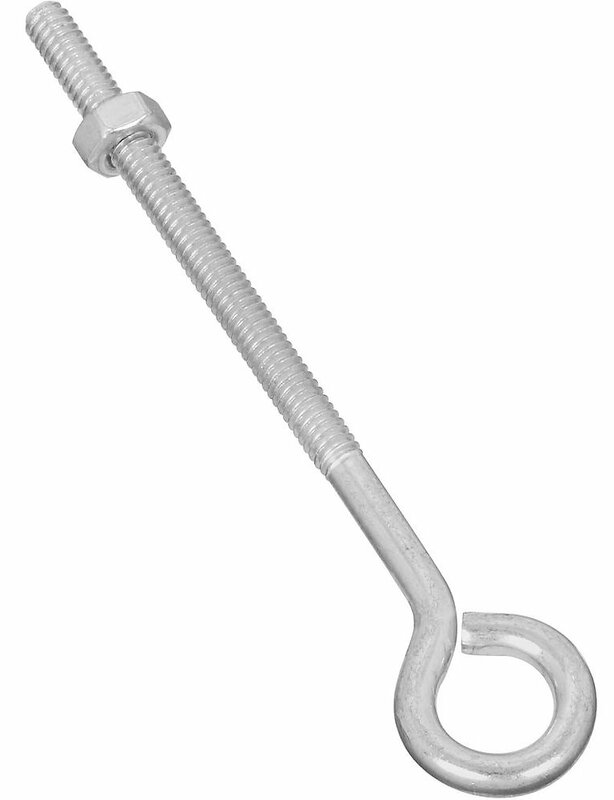 National N221-135 1/4" X 5" Eye Bolt With Nut - Zinc Plated (2160BC). Designed for home and industrial applications. Hex nut included. Standard machine screw threads. For interior and exterior applications. 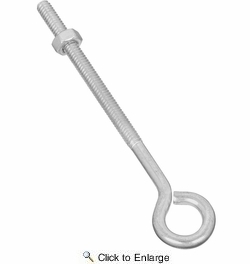 Course machine screw thread on the extra large sizes (larger than 1/2x12). Manufactured from steel wire.